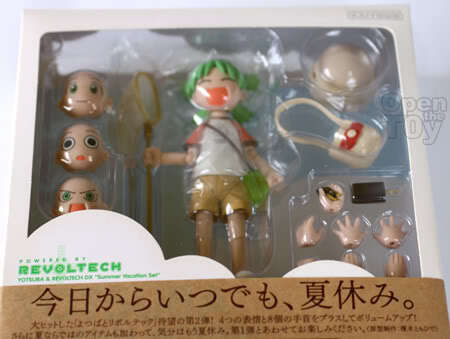 It's a Sunday afternoon and finally I feel like opening a toy that have been with me for almost a year. Okay maybe it's not that old. 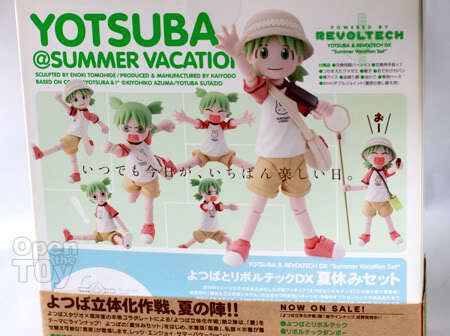 This was the second release of yotsuba in the series since I missed out the first one and heck, this is so much better with lots of accessories! 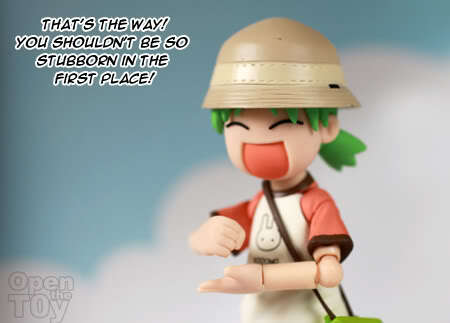 :P I hope that will be the same as Drossel. 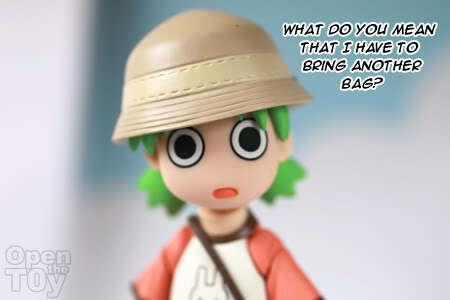 The reason why I get her is obvious. She's CUTE! 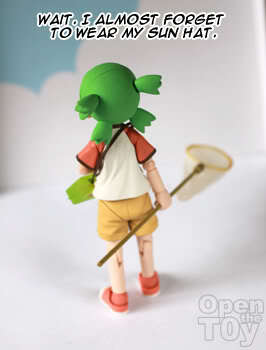 Here's the illustration of her in the Anime/Manga. Whenever I see her smiling face, I feel happy. 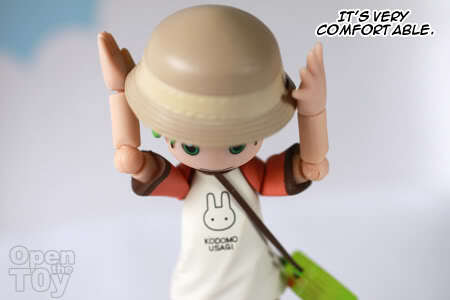 It can make many cool poses too! 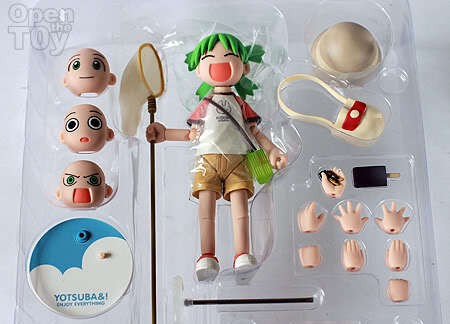 Time to open the toy to show her full glory! 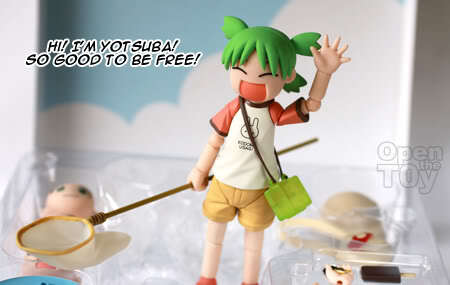 See the number of Yotsuba's hands? Additional 3 facial expression but I still prefer the default smiling face. Last but not least, a well decorated base stand. I simply love the colors. The reason for me to open her was to bring her out for outdoor shoots. 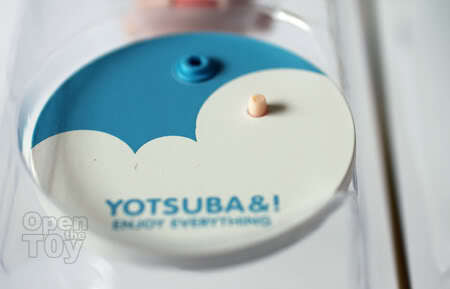 I love the details of the Bug container. 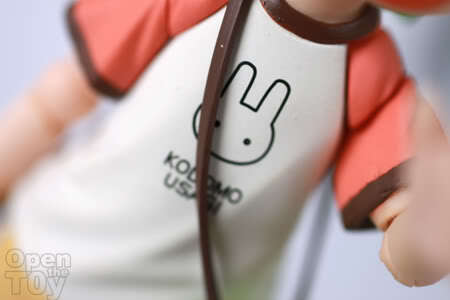 The T-shirt of Kodomo Usagi is cute too! You look great! 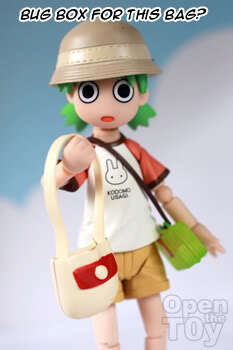 Do you want to bring your bag as well. Just switch the bag for your bug box. 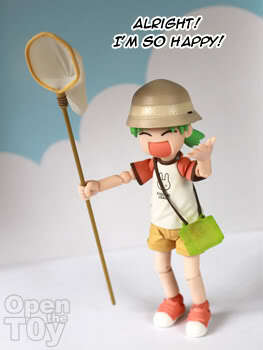 I don't think we have time for bug catching. It will be too rush for time. 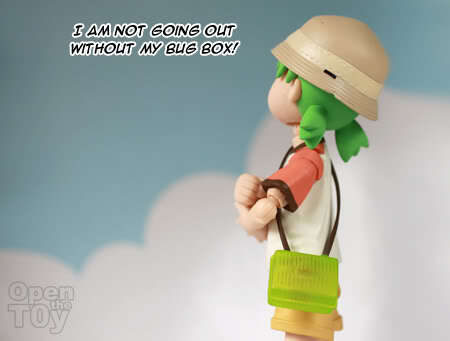 Please be understanding Yotsuba. I guess not. When I am free, I will bring her out for an outdoor shoot. 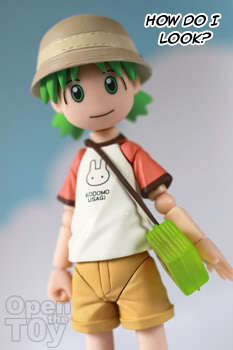 To be honest, I wasn't too keen on the revoltech design for Yotsuba; I believe they could have done better. i love the rabbit thirt. Glad you love the story. I like Revoltech in robot form. Just got Saber from 'Fate Stay Night'. 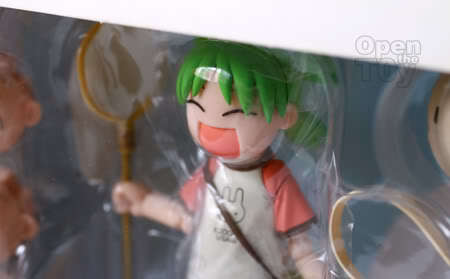 Figma is very good too! Got her too, bought about a year taken and played with then put in the loft. 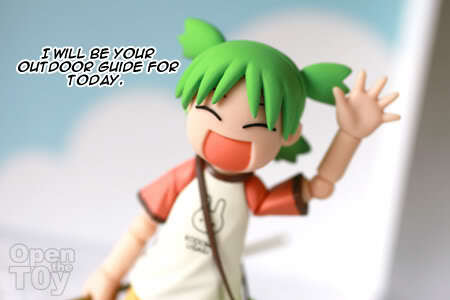 One of my favorite manga ive ever read, so damn funny! Yes it is popular during that time. 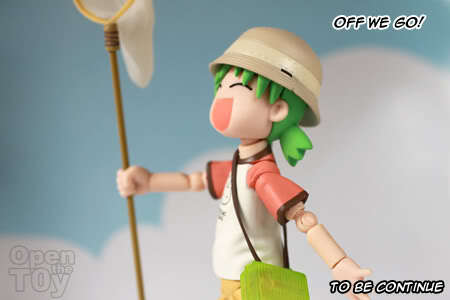 I always want to get myself on this Summer DX. 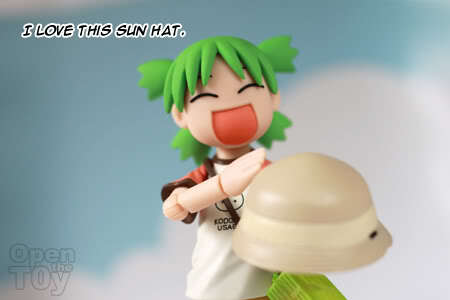 I only have the Standard yotsuba Revoltech which is very low in terms of accessories. So this summer edition would be very nice to fill that hole. 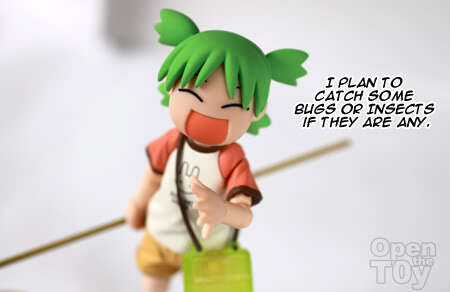 Unfortunately it becomes more rare here in my country TT. 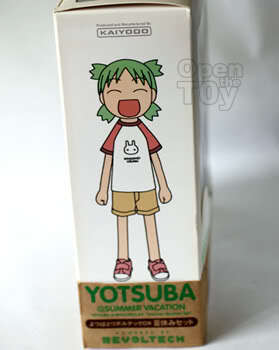 Thank you.I missed the first standard Yotsuba. It was really hot and was a sell out. 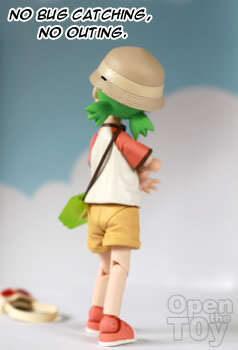 So I preorder my summer DX and it was on sale for sometime and now it's another rare pieces. Where are you from? US?